The sun against your skin, the winder in your hair, the sand in between your toes, and the salty seas crashing against the shore – these are just some things that define the perfect holiday, but what comes to mind? There are loads actually, but none fits all four perfectly than Brazil. The country of Brazil is known mostly for its beaches, and perfectly so. It has one of the whitest sand and the bluest beaches that the world has to offer. Luckily for those who wanted to visit Brazil, Brazil visa online processing has made it easier for anyone interested to tour the country. In fact, it does not take that long to process. In addition, the visa is valid for two years and can be used for any purpose you have in mind including business and medical treatment. All you have to do is fill up an application form online and get that Brazil visa online processing started. After you have your Brazil visa online processing started, it is important to determine which places you should be visiting. Places such as Rio de Janeiro are just one of the most common places that tourist decide to visit. However, sometimes seeing the same things that others have seen eventually becomes stale no matter how magnificent they are. It is good to be adventurous, so, venture we go. Lençóis Maranhenses, contrary to many beliefs, is a desert located in the north-eastern part of Brazil which can easily be missed by most tourist simply because who would believe that Brazil, a land of sand and beaches, has a desert hidden somewhere in its land. Believe it or not however, there is one and is very unique. In spite being a desert, it receives thrice the amount of rain compared to the Sahara. In addition, it has wildlife living among its constantly shifting sands. But, the most beautiful attraction that it offers is the sunset kissing the horizon shifting not only the colors of the sky but also the oases dotting the desert adds the added drama. The lesser known cousin of the Amazon, Pantanal offers less foliage but a lot more wildlife than the former has to offer because of the wide spaces that it offers. This is a stark contrast to both the Amazon and most especially Rio. Just a warning, there are less modes of transportation around Pantanal. So, time it perfectly because land vehicles are available only when the water levels are low. Otherwise, you will just be disappointed. However, if you are lucky enough to time it just right, its wildlife will not disappoint with its unparalleled bio-diversity, any animal lover might just find it a paradise. If wildlife is not your cup of tea, then maybe, naturally made spaces are. Then you are in luck because that is what Benito offers, from naturally made stalactites form inside caves surrounded by lakes. Additionally, it has naturally flowing rivers surrounded by forest and majestic waterfalls. It can easily be a natural wonder. 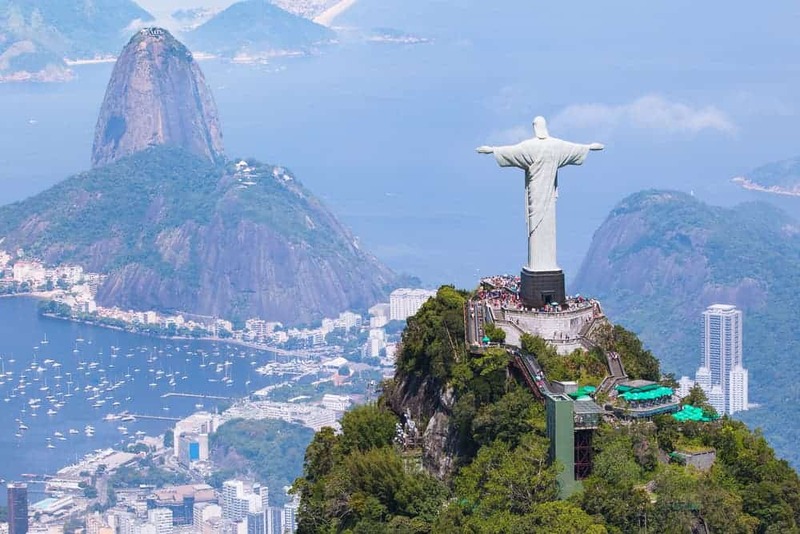 Brazil is famous for loads of touristy spots known the world over, and maybe, that is the reason why Brazil visa online processing was initiated because, to be fair, the country is full of it. But it is not short of still unfound gems and these three could just be the beginning.